This Fisher & Paykel Stainless Steel Freestanding Dishwasher features a 5 Star Water Rating and 3.5 Star Energy Rating! 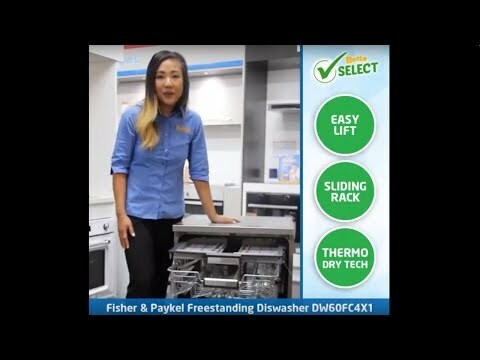 This Fisher & Paykel dishwasher offers six wash programs including an Auto option. The ThermoDry technology removes moisture from the final hygienic hot rinse leaving your dishes with an ultra dry finish. It also features premium styling, with a stainless steel finish. Rent from $22.85 a week!